What’s the latest in bathroom remodels for 2019! 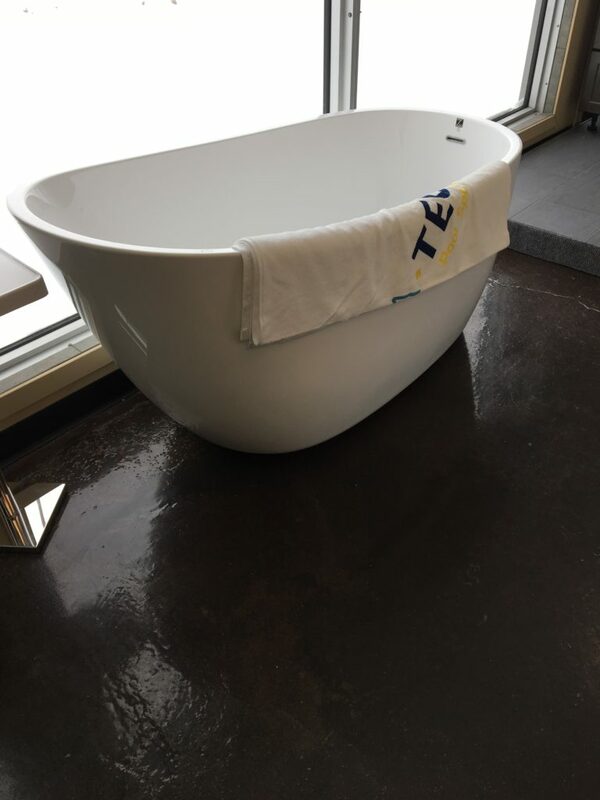 In the 1980’s and 1990’s we sold about 5,000 jetted bath tubs. Many of them were the two person variety. 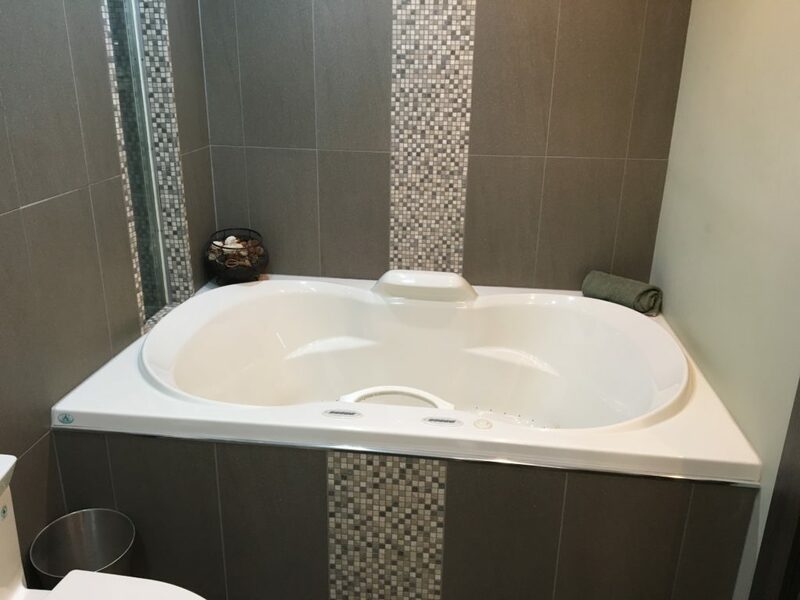 There was huge demand in show homes to have a corner two person whirlpool in the ensuite. Times have changed! 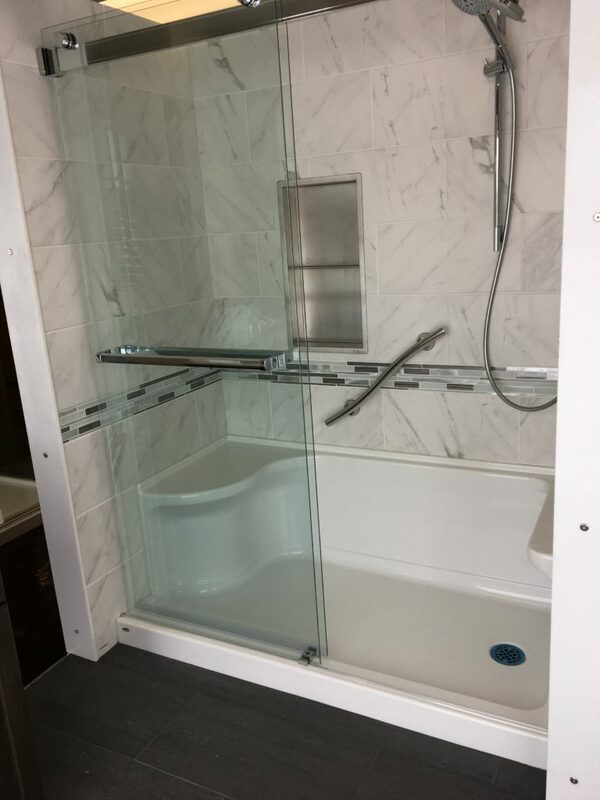 We remove countless two person tubs and install beautiful large showers. We actually had one customer who was not using their large tub so they had plants inside the tub area. Since showers are so popular we have a dozen showers on display! Two are even operational with steam and body sprays! In your main bath you may very well have a standard 5’ tub. A very popular item is to replace that tub with the shower shown below. There is even a seat to assist us as we get older or for women to put their foot on to shave their legs. 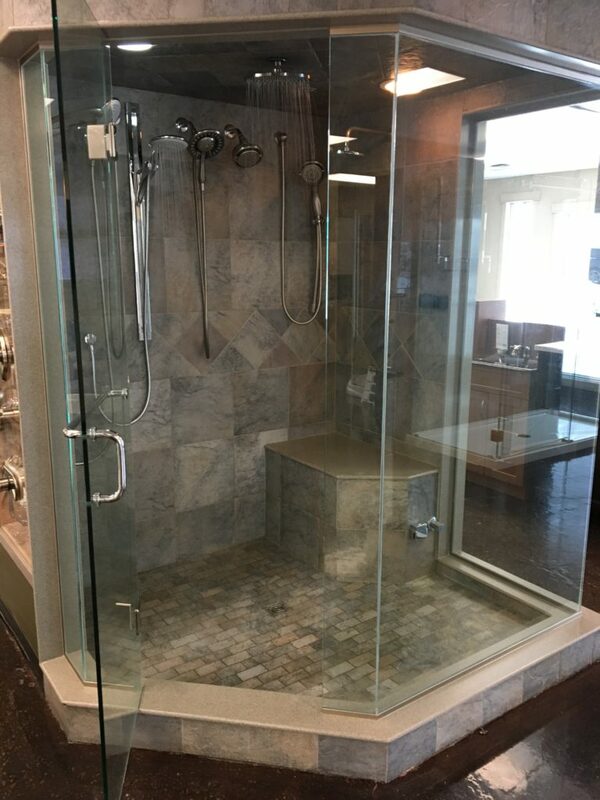 We have 2 displays in the showroom with this new idea so you can come see it for yourself! There are still those folks like to soak and we have a dozen options on display for them too. There are soaker tubs like this one that are becoming popular if you have the room. 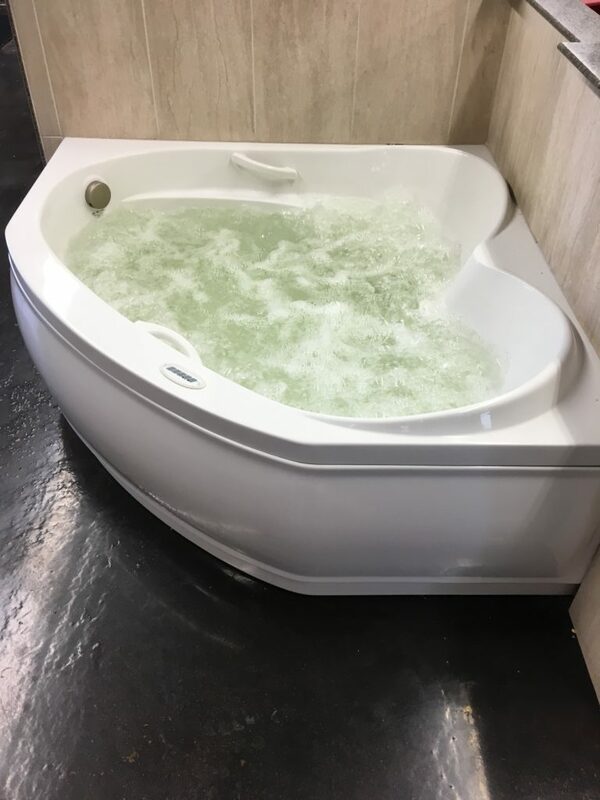 Also there are air massage tubs which don’t require the maintenance of jetted tubs. Again we have an operational model on display! Begin your bathroom renovation process with a visit to our showroom ! Aqua-Tech can take over your on-going weekly maintenance, one time support requirements, and more! Find out how we can help you spend time enjoying your pool or hot tub—not maintaining it!